Color name week continues with this blue-inspired hue. 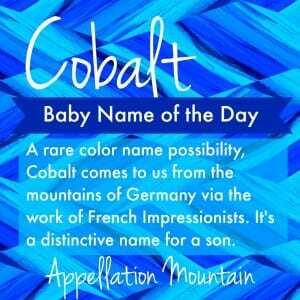 Thanks to Rosemary for suggesting Cobalt as our Baby Name of the Day. Back in the 1600s, silver miners in North Germany’s Harz Mountains used the word kobold to describe the rock they took from the Earth. It contained arsenic and sulfur, and it made the miners sick. Kobold came from a phrase meaning household goblin. Now this is where it gets a little tangled. Cobalt had been known for ages, as far back as the Bronze Age, found in Egypt and China and the ruins of Pompeii. 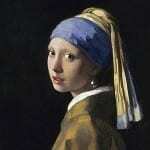 It was used to create pigments to tint glass, paint, and jewelry. 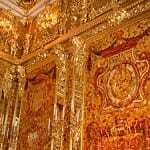 But no one actually knew what it was, and scientists believed that they’d already discovered all the metals that were known to man. They thought that what the miners called kobold was actually bismuth. In 1735, scientists discovered that it was something else entirely, a separate chemical element. 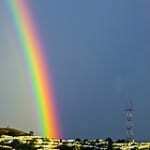 It appears on the periodic chart with the atomic number 27. 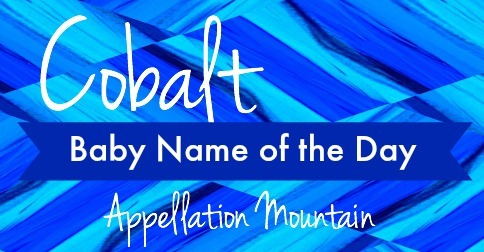 By the early 1800s, cobalt was listed as an alternative for creating the color blue in painting. The Impressionists used it, as did Van Gogh. Even though it’s use is far older, it was only a few centuries ago that the name became widely known. The artist Maxfield Parrish was such a fan that the color is sometimes called Parrish blue. Sonic the Hedgehog is cobalt blue, and the shade is associated with several state flags and official logos for sports teams. There’s a Chevy Cobalt car, though in comes in lots of colors. 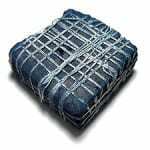 The substance itself is still potentially toxic. It brings to mind former #1 and still very popular name Jacob. Co- is a popular starting sound for boys’ names, including Colton (#65 as of 2014), Cole (#116), and Cody (#220). Adding in names that share the letters, but have a different ‘o’ sound, there’s also Connor, Colin, and Cooper. It could easily shorten to Coby, sounds like Kobe. Or this one could be completely nickname-free. 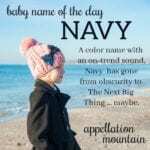 Color names are huge, though they tend to be bigger for girls than boys. Cobalt has a sound that leans masculine. Even though Beyonce named her daughter Blue, the color is still associated with boys. And yet, Blue and Indigo are both more popular for girls, as are Sky and Skye. Azure is tied. Cobalt, on the other hand, was given to seven boys in 2014. That’s the first year it was given to more than five children. It’s a rare name, but one that feels distinctly masculine and modern, without being invented. The 21st century is all about borrowing from the dictionary, with new flower names and virtue names, bird names, and tree names, too. 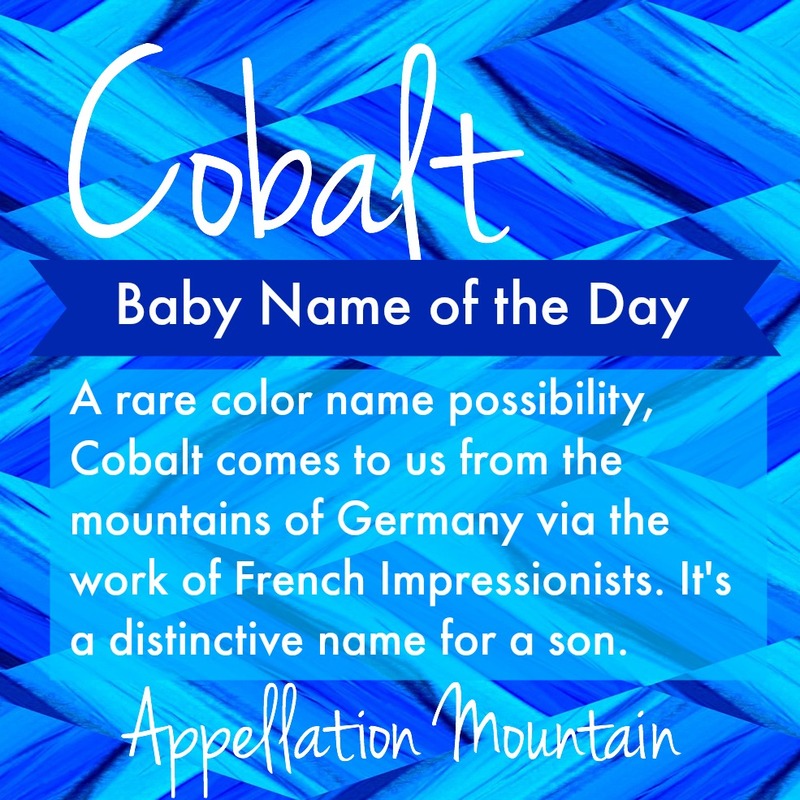 Why not a bold color name choice for a son? What do you think of Cobalt? Can you imagine it wearing well on a boy, or does this one seem too different? We just named a pair of electric blue cichlids (fish) Cobalt and Sapphire. They join five tiger barbs named by my roommate’s 7 year old daughter: Shiny, Nikki, Caleb, Chase and Julian. I think that my roommate’s daughter has cool taste in names! Yay! 🙂 Thanks for taking my suggestion!